amazing 3d model. Before you one of the most popular type of ring. X cross rings always look elegant and interesting. The model is executed very qualitatively taking into account all sizes for further jewelry production. All my models are pre-printed on a 3d printer and cast in metal. You can see the finished product on the photo. 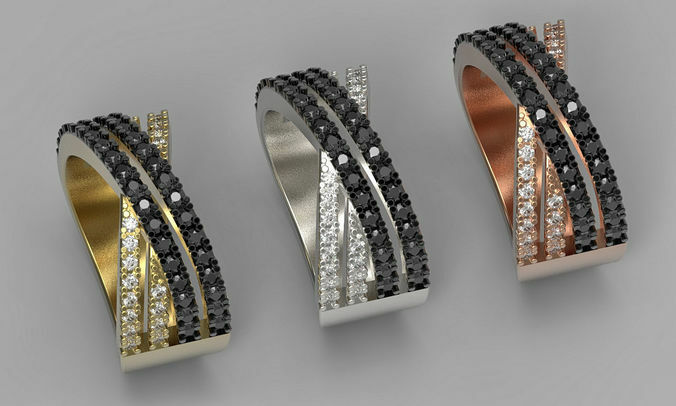 The combination of white, black diamonds and rhodium looks great. This X Cross Ring will be an excellent addition to your jewelry collection.